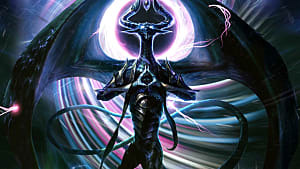 As soon as spoilers for Ravnica Allegiance cards started to appear, the Magic: The Gathering community was immediately focused on the new combo possibilities with cards like Persistent Petitioners, High Alert, and Prime Speaker Vannifar. 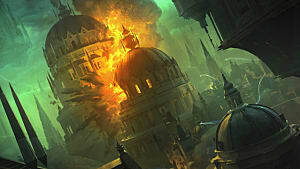 But these cards aren't the only exciting choices in the Ravnica Allegiance set, as there are plenty of other truly powerful cards such as Domri, Chaos Bringer and Spawn of Mayhem. These cards may not create entirely new archetypes, but they will surely become staple choices in many top-tier decks. 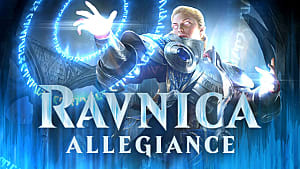 As per usual, most of the new cards in Ravnica Allegiance will fall below the $1 threshold, and only a handful will stay strong on the market. Here you will find a list of which cards are currently the most expensive from the set with a short analysis of their possible trending. Due to its instant-speed, the biggest takeaway form Electrodominance is its ability to put any creature, enchantment, artifact, or otherwise onto the battlefield whenever you feel like it. This card will most likely see play in Jeskai Modern decks that run Teferi. Imagine a scenario where you kill one of your opponent's threats with five toughness and put Teferi into play for free. Sounds pretty strong, doesn't it? 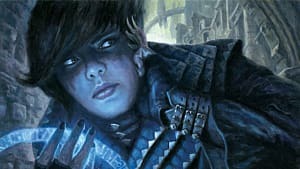 Grixis lists will also have it included in both the Standard and Modern formats, so it's definitely going to see a significant increase in price — think the range of $15 to $20 in the next couple of months. The Riot ability on this dragon basically allows you to turn it into Glorybringer, a powerful dragon with haste. But the other ability is also pretty good, as it lets you ping your opponent and their creatures, which is great against all token decks. Temur decks in Standard will take this one alongside Biomancer's Pet, which will make the activated ability cost two times less. This opens up doors for some significant combos, especially with all the enraged dinosaurs in the format. However, even with all its power, Hellkite will most likely settle around the $5 threshold and stay there just like the rest of its brothers and sisters from the past. This demon does a lot of things, but its main selling point is the Spectacle keyword that allows you to cast a 4/4 flier for only three mana. If you happen to have it in your opening hand, that's a very strong start on turn three. 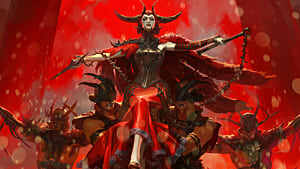 Mostly aggro players will want to see it in their decks, especially the Black-Red Aggro lists that have been dominating the top tier of Standard. The other two abilities, pinging and adding counters, can be used for some neat trickery too. It's an all around good card with some excellent stats, and if it does happen to stay in the Rakdos Standard decklists, then it can double up in price pretty easily. Here is another mythic rare with potential and a wall of text. The Simic color pair wants to rely on ramp most of the time, but in this case, it looks like the X could be as low as 4 and still be very powerful. It's just enough to evade Ritual of Soot while drawing you two cards for some more action. Also, the "when you cast this spell" line guarantees life gain and card draw even if it gets countered, which is a really neat way to evade counterspells. 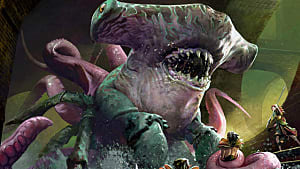 On the other hand, Hydras as a tribe have never played any significant role in Magic: The Gathering, so it's unclear whether the price will go up or down from this point. Combo cards are always extremely hyped at the early stages of any new expansion. The same was the case with Vannifar, which started its journey at $22 a piece and has now dipped significantly. Modern players want this card in their Kiki-Jiki and Saheeli lists, but those decks work well without it, so there is no guarantee on Vannifar's price moving forward. That is, it could be a big hit, but it will most likely turn out to be just another generic combo piece. As it currently stands, the price of Vannifar will drop even further, well below the $10 mark, even if it's good. And if it turns out to be redundant, then expect an even harder push towards the $5 threshold. 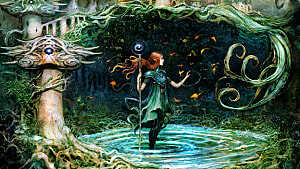 Dovin is a very unique planeswalker, which makes a lot of Magic players simply uncomfortable. It's really hard to evaluate a card like this without properly testing it in the field. It's difficult to fit it in Jeskai Control, due to the inclusion of Teferi, and it is not good enough to put it in aggro lists either. But it's a planeswalker, and it has a certain value just because of that fact alone. If competitive formats deny Dovin its rightful place, then it may go straight into the EDH market, where it has a chance of staying at a decent price point. This angel is not nearly as good as Rekindling Phoenix, but it is priced well for what it is. The Afterlife ability is really strong, and here it creates two spirit tokens, which can become a game changer at certain points. It's a decent attacker and blocker for both Standard and Modern angel tribal decks that already play Shalai and the rest of the crew. However, it could probably just be a rare instead of mythic, which would put it in the range of $5. As of now, it stands at the price of $7.21, which is probably the right price for it until the market decides to see it for what it really is: a $5 rare angel. 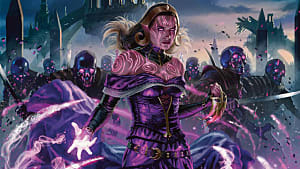 Domri is undoubtedly the most powerful planeswalker in Ravnica Allegiance. After Dovin, and his less than remarkable abilities, Domri looks like a true leader of the pack. The Riot ability is really strong and will make any game against control decks fun to play. So if you're tired of constantly failing against all the Teferi-based decks, then be sure to pre-order a full set of Domri, Chaos Bringer. Many players have already done so, which launched the card's price into the stratosphere, and it will most likely keep going up until the $25 to $30 limit. Dovin isn't the most underwhelming planeswalker in the set — that award goes to Kaya instead. Many players don't even consider it a main deck card, which is understandable. Sideboard cards like this almost always end up on the lowest market shelves amongst the rest of cheap planeswalkers, costing in the range of $1 to $2. However, Modern players may find this card more interesting than Standard enthusiasts. It does deal with early Aether Vials, which is a bane of the Modern format, so there is some room for a price increase here. 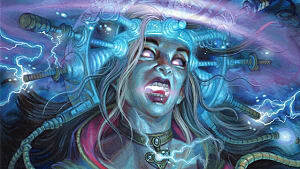 That said, don't expect much from this planeswalker after release. One question that many constructed players are asking themselves is whether this card will be more viable than Lyra Dawnbringer. Some players don't like that it has only four toughness, which makes it vulnerable to something as simple as Lava Coil. On the other hand, it not only adds life to your health pool, but it literally prevents you from losing a game. Taking all this into account may mean that you want to run one copy of Angel of Grace alongside a copy of Lyra in your deck, and you may want a couple more in the sideboard. 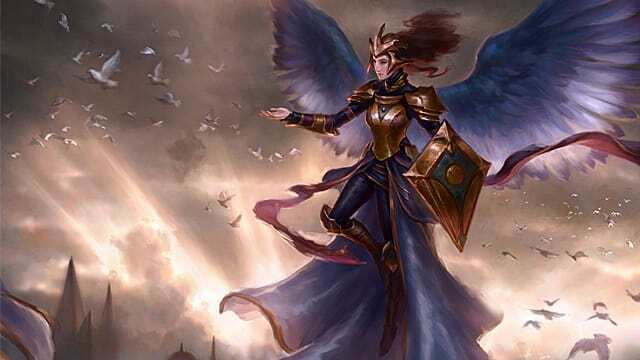 Both Modern and Standard players will find themselves in situations where they will really need protection from losing the game, and Angel of Grace will be able to provide exactly that. It seems unlikely that the Ooze lord will make it in constructed formats, but it is definitely an excellent limited card. The current price is mostly due to the charming idea of Ooze tribal, but you can be sure that as soon as this enchantment is over, the market will set its price right where it should be. Don't expect this to stay in the price range of $7 to $8, as only players that want to tell stories of buying a really expensive Ooze lord for laughs will be paying this price. The prices presented in this article are subject to change in correspondence with the needs of the Magic market. Please, be sure to regularly check the prices online in order to have a complete understanding of the trends, and stay tuned to GameSkinny for more Magic: The Gathering card lists!